Do we really need discipleship material? I remember when I was first seriously faced with the question, "What is discipleship?" A young man in a smaller city in Taiwan called "Phoenix Mountain" (actually there was no mountain there just like there is no such thing as a phoenix) came to know the Lord. We were just a few months into starting a new church, and I wanted to train this new Christian the right way. Since there was no established program to plug him into, I went back to Christ's charge in Matthew 28:18-20 and began to think about the process of making disciples. I asked myself, "How do we do this?" Actually, I should have faced this question long ago as a new Christian and later during my training. But I didn't. Perhaps it was my lack of interest, but this I know, I heard many speak on the charge to make disciples, but cannot remember one who explained how to do it. From that time onward, I have given much thought to this question. Discipleship takes place when people attend church programs. In fact, much good teaching can take place during church, but it is often too general and not targeted to the special needs of a new Christian. In fact, we must go counter cultural and instruct others personally and lovingly about the ways of Christ. We need to ask the hard questions and get involved into the process of why they do things. Discipleship is only for new Christians. In fact, discipleship is a process that should be occurring all through our lives. A disciple always follows his master's life. Once a disciple, always a disciple. In fact, discipleship is a lifestyle. We are Christ's disciples and this Christian life calls us to learn and live like Him. This will require significant changes in the way we think and live. Discipleship is only for certain parts of our lives. In fact, Christ wants to teach us in each aspect of our lives from our parenting skills to handling finances. This differs from some cults which will actually make your decisions for you! Mentoring is a term that describes the training of a person in one or more specifc areas. True discipleship takes all of Christ's teaching and implements them into our lives in such a way that we live like Christ did. We must not be content with only the passing on of knowledge and tradition and assume the accompanying of conviction and belief. 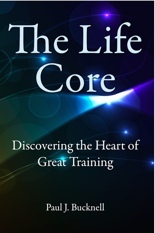 We are called to live out a godly life before those we instruct, just as Christ did. There is a great difference between the modern student and a disciple. A good set of discipleship materials is important but not our key focus. Materials can get in the way and actually just become another program if we are not careful. If we are not careful, we will train our people to acquire attitudes and behaviors that we don't even want! We are very interested in each new Christian being equipped with the needed knowledge, skills and devotion to train other Christians. A good disciple, then, is one which is busy discipling others to be like Christ. Materials are important for passing on a vision to others. They help safeguard essential truths from being neglected. Most important, rightly designed discipleship materials will cause us to ask the key questions that should be raised. Rarely do we as leaders think about what kind of disciples we want to see in the end. We might be frustrated with Christians who are not acting the way we would like them to act, much like a parent might not like the way their children are behaving. But have we thought through whether we are the ones responsible to train these new Christians? Many parents blame their children faults on society; the scriptures point to the parents' responsibilities. The same thing happens in the church. Christian leaders can blame others rather than confessing the lack of proper training. Good discipleship materials are opportunities to enter different aspects of a believer's personal life with the truth of God. Our goal is to share our lives, convictions and knowledge with them so that they will be more like Christ. The process is not unlike what should happen in a great family where the parents take their parental responsibiliites seriously. We want to think through these stages with you so that you as a parent, discipler, pastor or friend can take an active part in God's great discipling program throughout the world! What areas of growth are we hoping the disciple to grow in? Rate the person's willingness to grow in those areas of need. What has showed you his interest? How have you grown in these areas? What has God taught you? How has He taught you? Where is that person right now in those areas of his or her life? By God's almighty power and grace, where should that person ideally be in those areas? Where should you be? What steps are needed to bring that person to those goals? 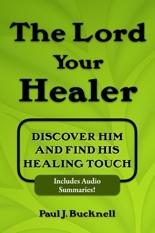 Click here in order to better understand what happens when a person is being discipled (shaped). The BFF website has a great amount of training materials on the concept of discipleship as well as actual training materials. We hope you have time to take a look. 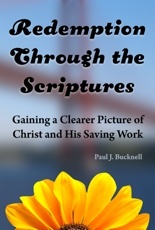 Below is provided a number of materials to look at in order to get better acquainted with the concept of discipleship. Further on various materials will be introduced that exemplify how the process of discipleship actually works. We must start at change in the heart. First go to the Key of Discipleship and then look at the concepts of discipleship below. We must fight the 'independent' attitude today in which we let everyone learn by himself. Christ said we need to make disciples. As a church we need to think through where we want our people to be in areas of giving, discipling, evangelizing, family care, loving of neighbors, etc. We can no longer assume people know the right thing to do. A life-changing series that causes us to renew our hope that God wants to specially meet every one of His children each day. For example, you as a deacon might have a great concern about taking further steps in protecting the people against immoral teachings infecting the church. You then need to go to your leaders in prayer with a thought out plan. It is easy to tell people what not to do, but we need to go back to the questions above and focus on where we want to bring the people and how by God's grace we can do this. "If we were to train a pastor or evangelist, what qualities, skills, vision and love for the Lord should they have to serve the Lord?" ADT's training materials focus on the answer to this question. 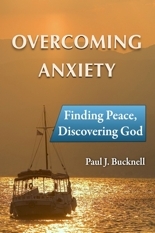 Each course utilizes both a theme developed around a key biblical passage and a practical study of a Bible book that is mastered in a week's time. Mentorship is key to this learning. Learn more by clicking on the ADT logo below. We can easily get confused about discipleship materials. We hear of this and that program and don't know how it is to fit together. I suppose we add to this problem with our offered materials! (At least they are free on the web). But we can help you out here. 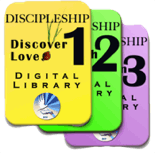 We have charted the three levels of discipleship along with their purposes: Basic Discipleship, Intermediate Discipleship and Advanced Discipleship. We have first described each stage and then grouped many of our offered material on the website under each topic. The whole process of discipleship in a church (or individual) is a most important concept of discipleship. 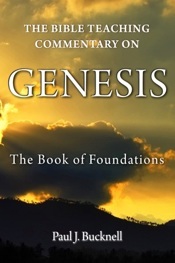 It is foundational. Click the Library image to see all the BFF discipleship materials that are now available ! 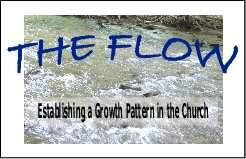 THE FLOW: The whole process by which disciples grow as a church or individually.